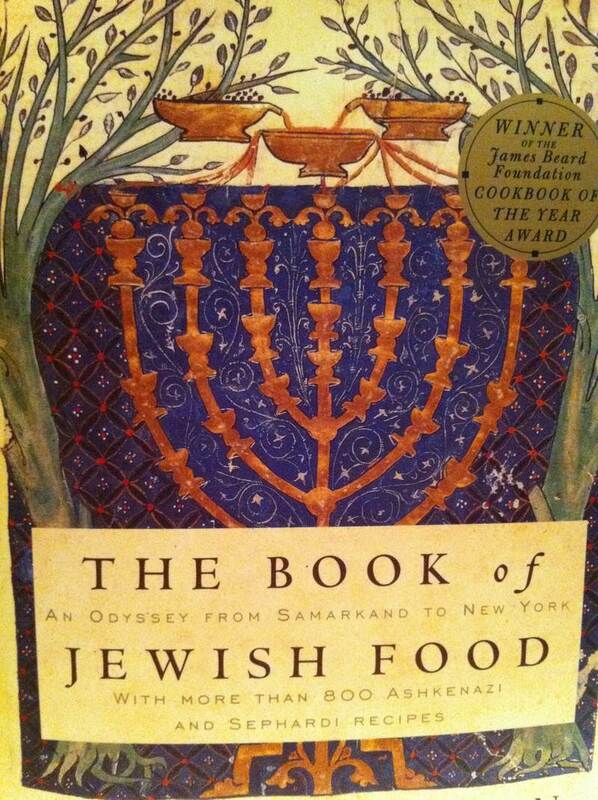 If you like your cookbooks filled with wonderful recipes and a healthy dose of interesting and entertaining history and if you want to know the origins of various dishes, get yourself a copy of Claudia Roden’s “The Book Of Jewish Food”. You’ll have trouble deciding what to choose to cook, and whether you should interrupt your history lesson with any cooking. 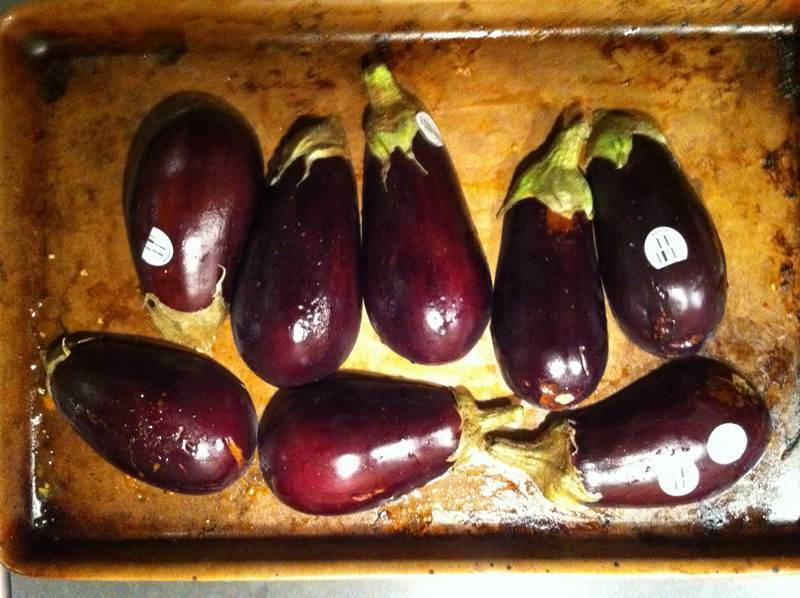 Eggplants are cut in half lengthwise and placed cut side down on the Pampered Chef Bar Pan, or your favorite baking pan. This magical pan can be used for anything from cookies to fish and just gets washed with water and a little plastic scraper. 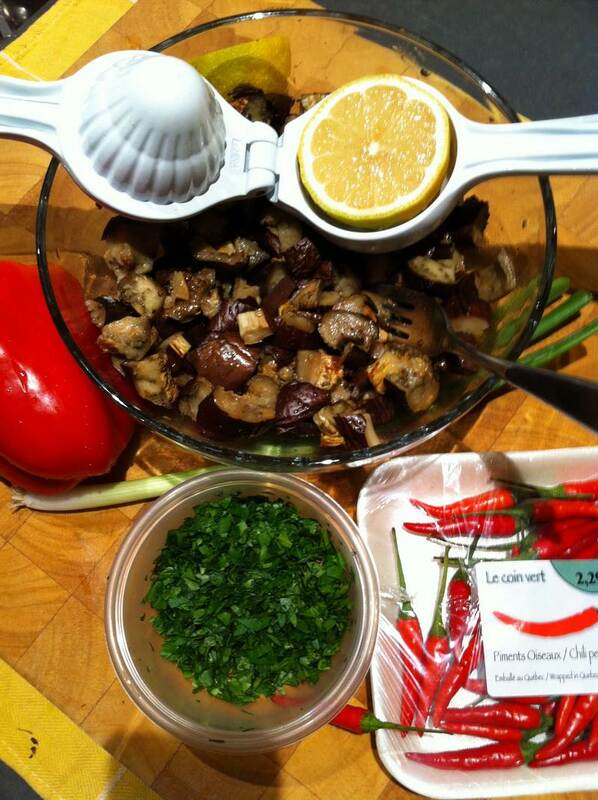 Roast eggplants for 25-35 minutes at 420 degrees, until you can pierce them easily with a fork or a pointy knife. Dice into small cubes. 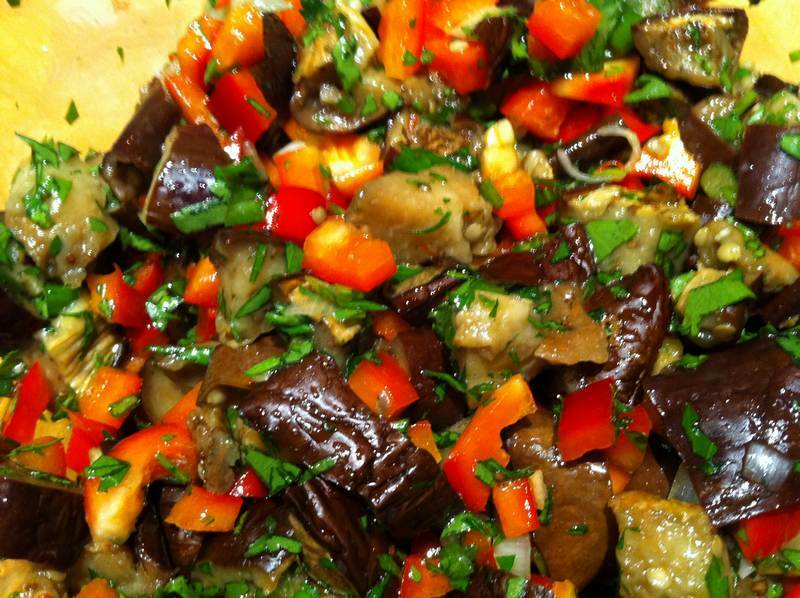 Mix the eggplant in a glass bowl with all the other ingredients and serve warm or cold, alone or with a selection of appetizers. The taste is fresh and lemony, with a little kick from the chili pepper. Chopped, ripe tomato blends well with these ingredients. Tahini and a little honey add a different dimension. Small chunks of tuna add protein. Thank you to my good friend Joanne who put Claudia Roden into my collection of marvelous cookbooks. This book can provide hours of entertainment and a mere 800 recipes to ponder and peruse.